Florence is the capital of the beautiful and very popular Italian province of Tuscany. This place is situated on the banks of the River Arno. This city has given birth to the Renaissance style. Florence is a city of Michelangelo and Machiavelli, a precious place full of works of art, culture and history. 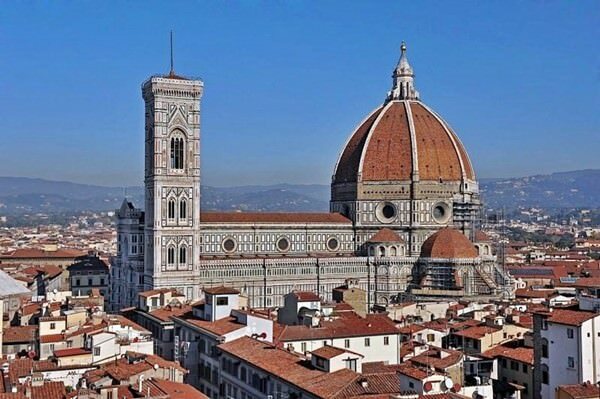 The majority of palaces, churches, museums and historical buildings in Florence are made in the Renaissance style. 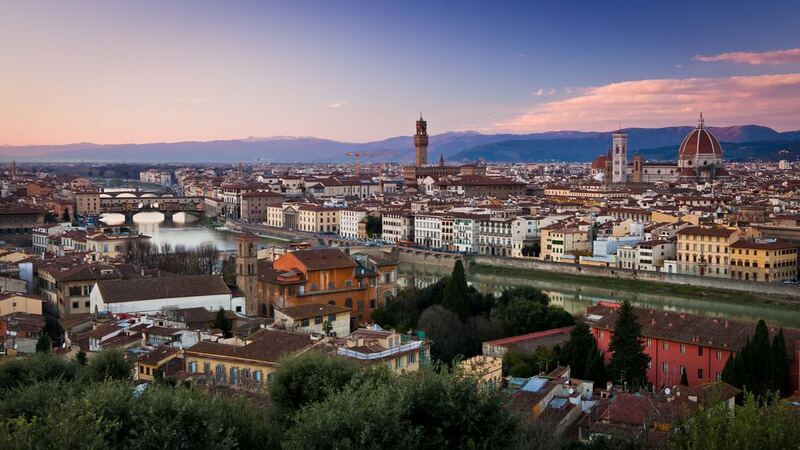 For centuries this wonderful Italian city was ruled by the Medici family, famous as bankers. Many works of art that tourists will find in Florence appeared in the city because of them. The interest of the family to various visual arts, architecture, sculpture, and literature was simply enormous. At that time, Florence had the status of a city-state, and so its power and independence were truly great. Nowadays, the population of the city is approximately 356,000 people. Florence is a unique and unforgettable city, a kind of a museum in the open air. This city is not the best choice for travellers who are searching for diversified nightlife. However, Florence would become the best choice if you want to feel the atmosphere of the past and the charm of a truly unique culture. The National Museum of Painting, Sculpture and Graphic Uffizi is widely known as one of the most important museums in Florence. . The museum is situated on the top floor of the Palazzo degli Uffizi Palace, built in the XVI century by order of Cosimo Medici. Initially, the building was occupied by the banking office of the Medici family. Later, the family started bringing the works of art, which belonged to them, to the palace. The family made the palace free to enter, so the public could watch these works of art. Nowadays, the collection covers the period from the late Middle Ages and early Renaissance to the Baroque. The central hall of the museum features Greek and Roman sculptures. However, these are not the most famous items in the museum. Its true diamond is a number of valuable paintings, such as "The Battle of San Romano" by Paolo Uccello, "Madonna and two angels" by Fra Filippo Lippi, "The Birth of Venus" by Botticelli, "Madonna and Goldfinch" by Raphael (by the way, the Uffizi Museum also exhibits the self-portrait of the master), "Bacchus" by Caravaggio and "Self-Portrait in Old Age" by Rembrandt. These items are just a small share of the precious works exhibited here. In this museum tourists will find masterpieces by Leonardo da Vinci, Michelangelo, Titian and Rubens. The exposition is so large that it can hardly be seen at one go. Therefore, visitors are recommended to take a break and relax in the cafe adjoining the terrace. From here they will be able to enjoy the magnificent view of the Palazzo Vecchio. The Uffizi Museum is very popular with tourists, so long queues at the entrance are often here. In summer months people in the queue sometimes have to wait for 5 hours to enter! Therefore, purchasing or booking a ticket in advance is a good idea. Without a doubt, this magnificent cathedral is one of the greatest attractions not only of Florence, but also of the whole of Italy. The construction of the cathedral was started in 1296; in 1995 it was completely renovated. The word «fiore» means “lily”. This flower is depicted on the emblem of Florence. A solid belfry stands near the cathedral. The façade made of green and white marble of the XIII century looks absolutely unreal and fascinating, as if this is a backdrop to a film. This surreal place creates a nostalgic and historical atmosphere. If you stand in front of the Duomo, it seems that the facade of the building is about to collapse right away. For centuries, the grand marble cathedral has become a source of inspiration for numerous artists. Nowadays, it attracts millions of visitors from all over the world. The beautiful ceiling above the font will leave a particularly indelible impression. This masterpiece is the result of work of Venetian masters. 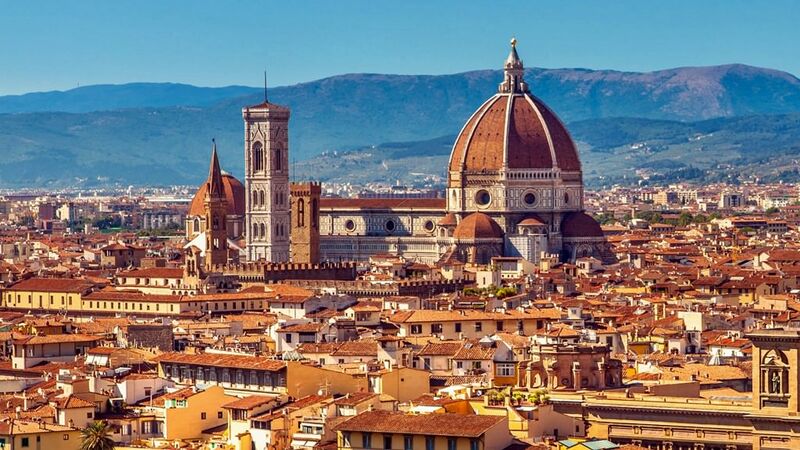 The Cathedral of Santa Maria del Fiore , as well as the Campanile and the Baptistery located nearby, is the center of the city, the heart of Florence. Galleria dell’ Academia is the place where visitors will find a unique collection of world-famous works by Michelangelo. The famous statue of David is also exhibited here. Get ready to stand in a long queue before you get a chance to view the treasures of the world culture, but, you can be sure, your suffering will be repaid by a hundredfold. All works of art exhibited here are the originals. is a famous ancient palace located in the heart of Florence. The palace was built in the early XIV century. Initially, the palace was named Palazzo della Signoria. The beautiful building has been called Palazzo Vecchio since 1559. Nowadays, the palace is the location of the city council of Florence. Palazzo Pitti was once the residence of the famous banking family of Pitti. Later, when the family went bankrupt, it was purchased by the Duke Cosimo Medici. By the order of the Duke the palace was rebuilt, and then became the residence of the Medici dynasty. Currently, the building houses several museums, galleries and various collections. 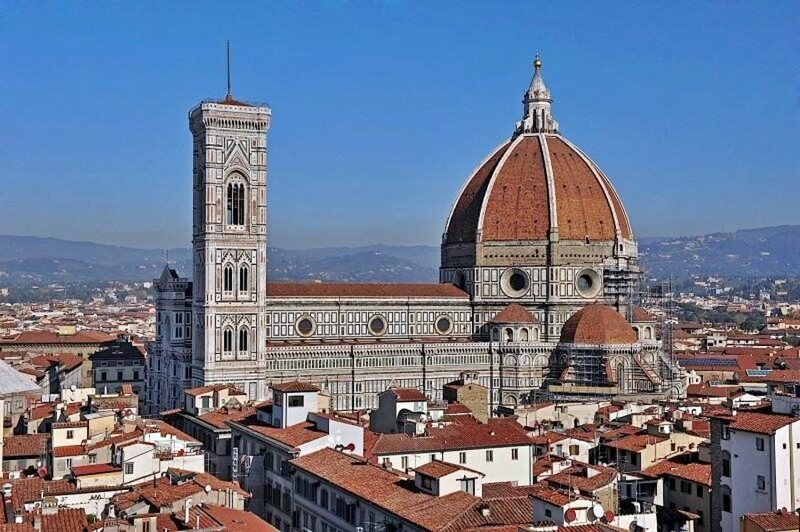 This guide to iconic landmarks and sights of Florence is protected by the copyright law. You can re-publish this content with mandatory attribution: direct and active hyperlink to www.orangesmile.com. Check on the map: Distance from Florence center - 1.8 km. Check on the map: Distance from Florence center - 0.9 km. All about Florence, Italy - sightseeings, attractions, touristic spots, architecture, history, culture and cuisine. 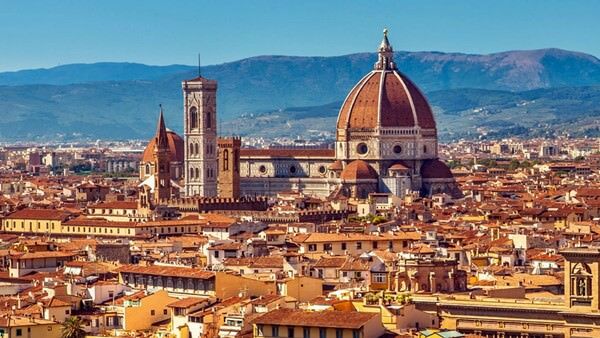 Prepare your trip together with OrangeSmile.com - find out the 'must see' things in Florence, which places to visit, which excursions to take, where the breathtaking views are waiting for you. Planning your trip with this travel guide will help your to get the most out of Florence in few days.